Pneumonia, a severe lung infection, is the most common disease calling for hospital admission. 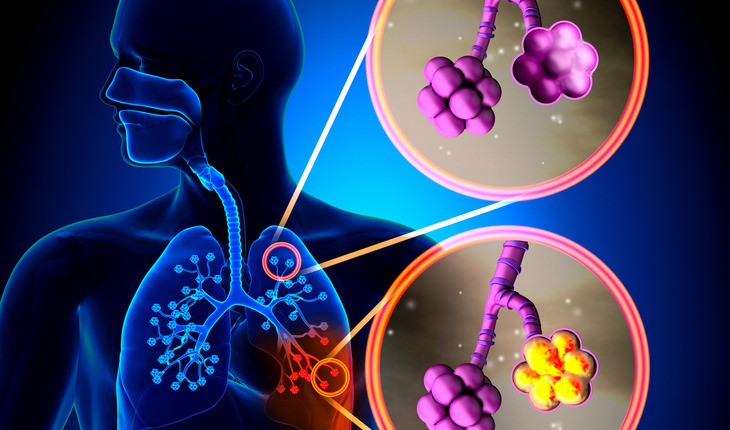 More than one out of ten pneumonia patients die of the disease. Thus it is vital to predict accurately and to closely monitor the clinical course. Measuring the respiratory rate – the number of breaths a person takes in a minute – provides valuable information. However, far too little use is still being made of this vital sign in clinical practice, according to Richard Strauß and co-authors a study published in August 2014 in Deutsches Ärzteblatt. A release from the publisher notes that the respiratory rate has long been established as an important prognostic factor and aid to risk evaluation. For example, it was already known in the 1980s that pneumonia patients with increased respiratory rates were more likely to die than their counterparts with normal breathing. Despite recommendations to measure the respiratory rate in several diseases, the technique is still underutilized in hospitals, the study reveals. Although the respiratory rate is usually determined when pneumonia treatment is started, regular measurements and consistent documentation are rare. But counting the breaths in pneumonia patients should, as the authors point out, be as much of a routine as taking the pulse and measuring the blood pressure is today.